Discount available! 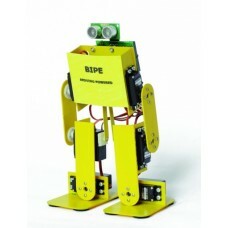 Recommend BIPE ROBOT to your friends and get your Discount. 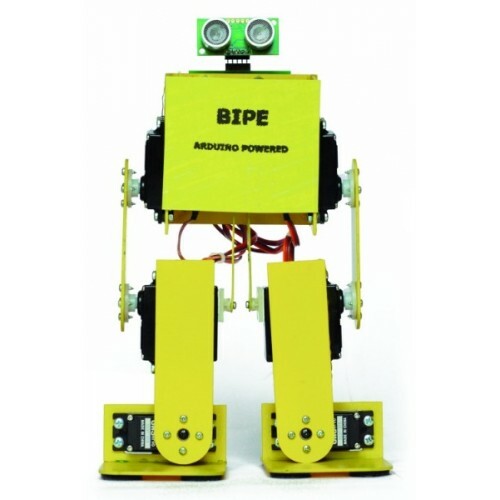 It is a biped robot able to do complex movements. 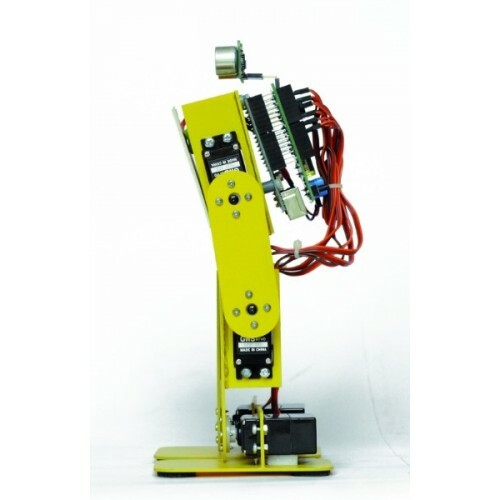 It has three joints (3 servos) for the leg that allow him to move very smoothly. The mechanics is made from PCB and assembly takes place by welding together the various components to ensure the strength needed to hold the weight of the components. The robot can be controlled (the essential functions) remotely via an IR remote control (a standard remote as those used for TVs or video recorders). 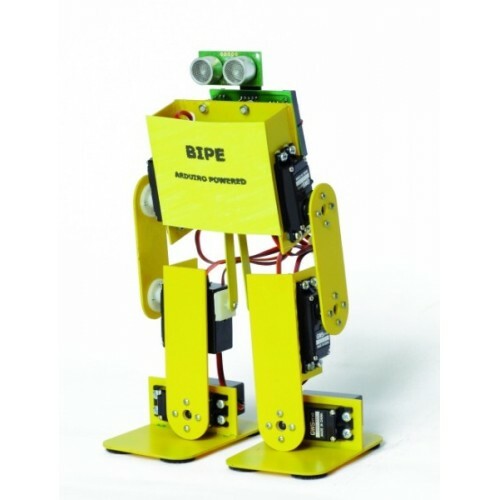 The kit includes all mechanical and servo 6. Does not include the control board Robot_Shield, the ArduinoUnoREV3 and batteries. Shield for Arduino to control up to 8 servo, equipped with its own internal voltage regulator (also ..
Ultrasound sensor operating at 40 kHz, frontally provided with two ultrasonic transducers (TX and RX..
Based on the ATMega328 microcontroller, Nibble is a fully compatible Arduino Uno ca..